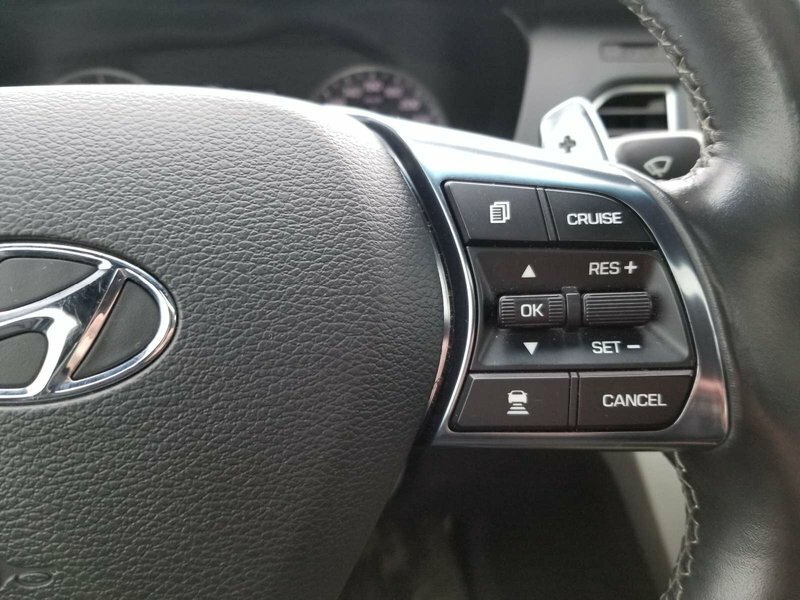 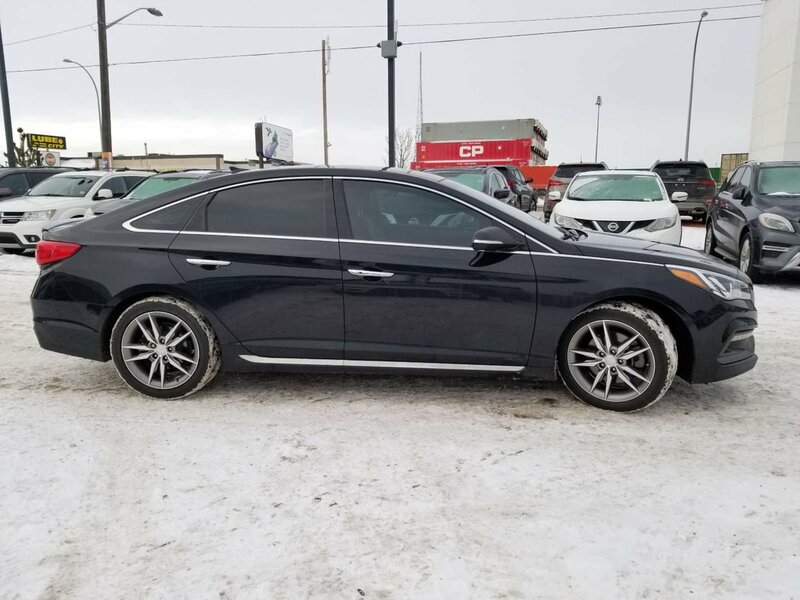 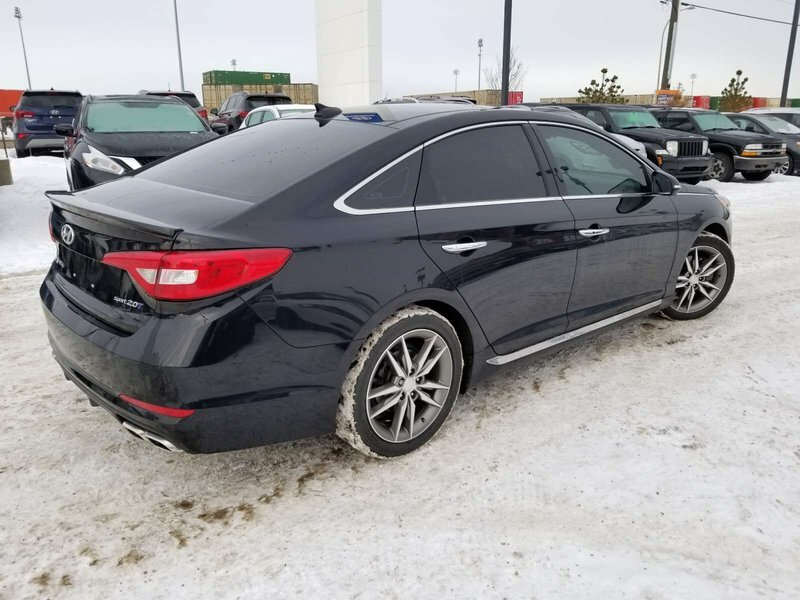 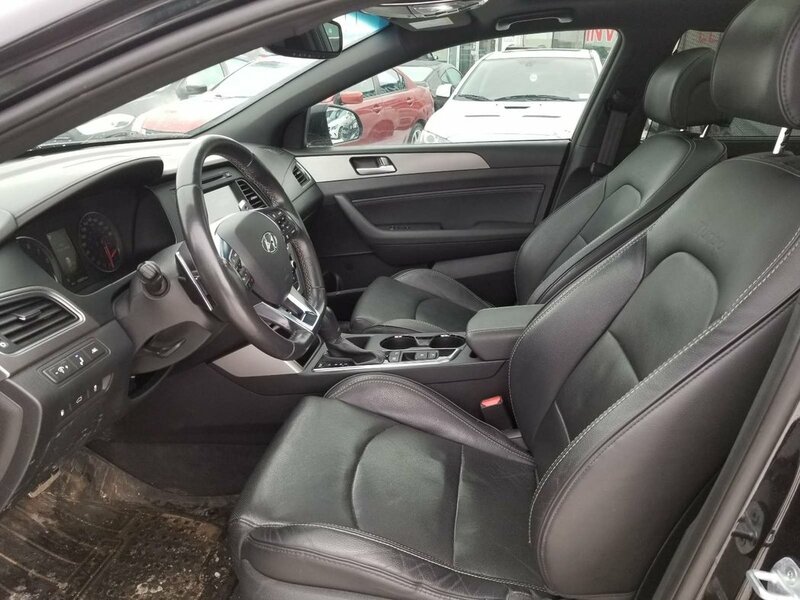 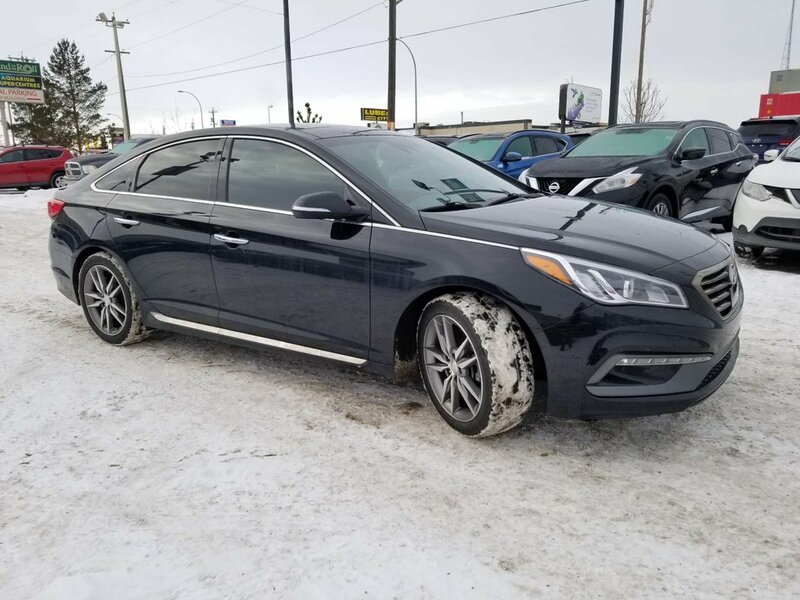 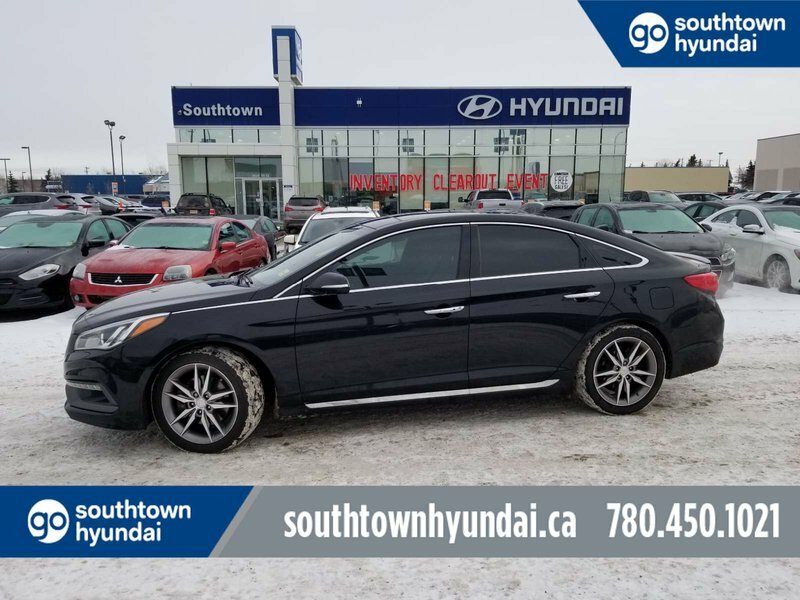 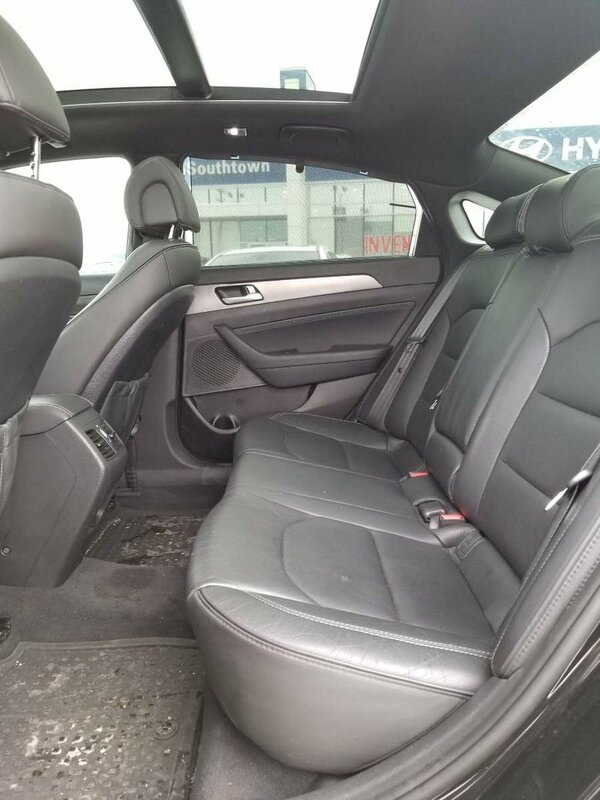 Get behind the wheel of our Phantom Black 2016 Hyundai Sonata Sport 2.0T with Navigation! 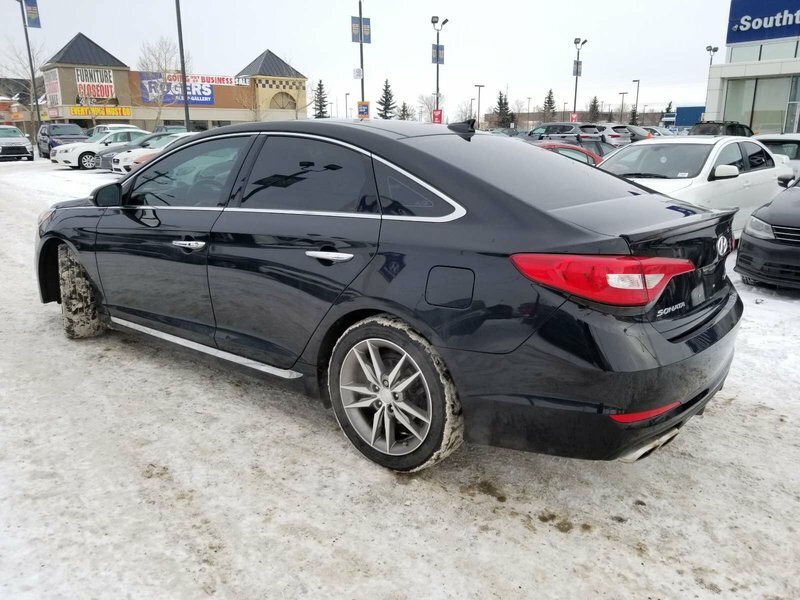 Motivating our sedan is 2.0 Liter twin-scroll turbo GDI 4 Cylinder which produces a mighty 245hp. 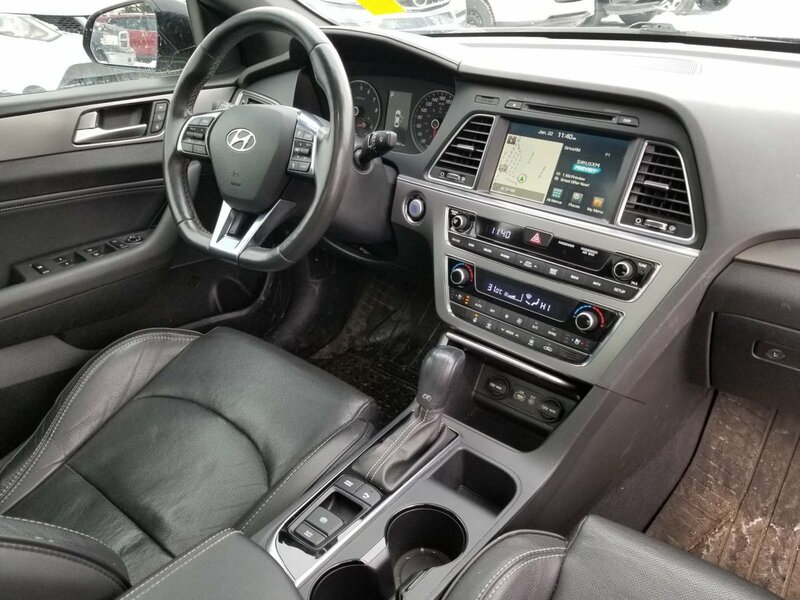 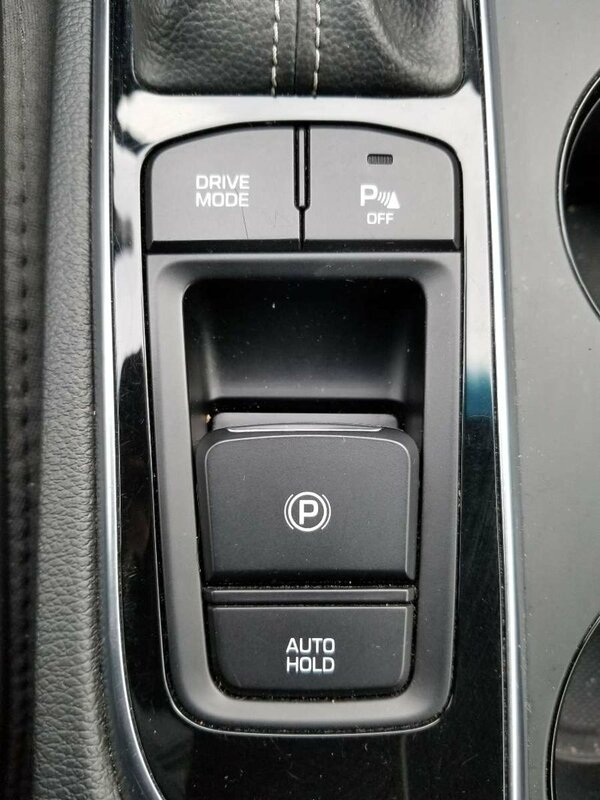 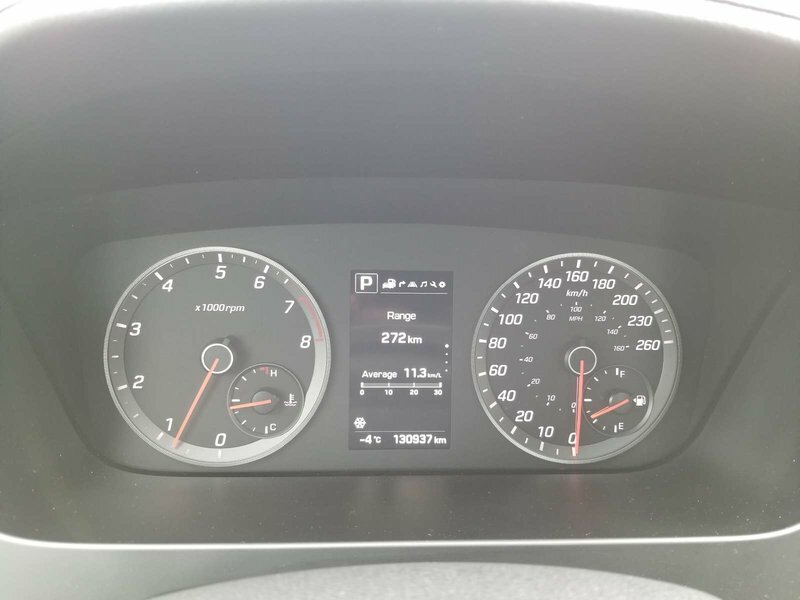 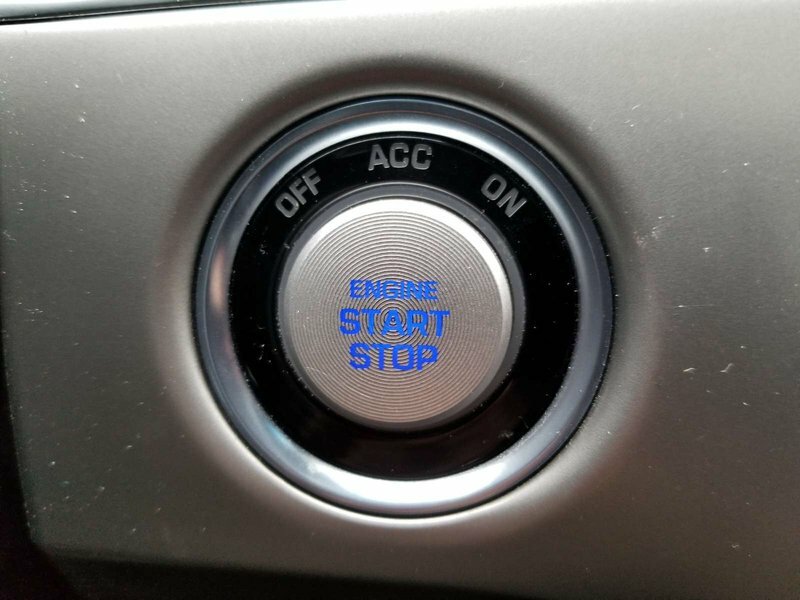 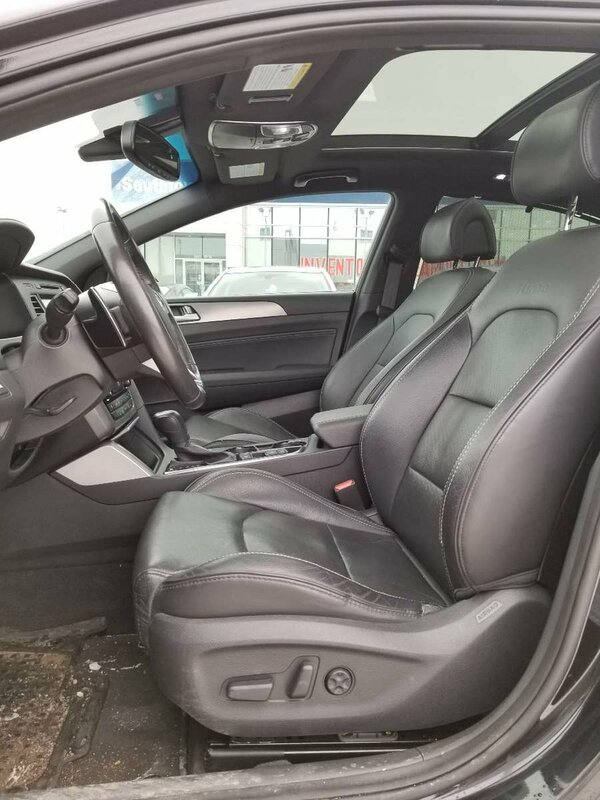 This potent engine is mated to a paddle shifted 6 Speed Automatic transmission and rewards you with impressive acceleration and near 32mpg on the open road. 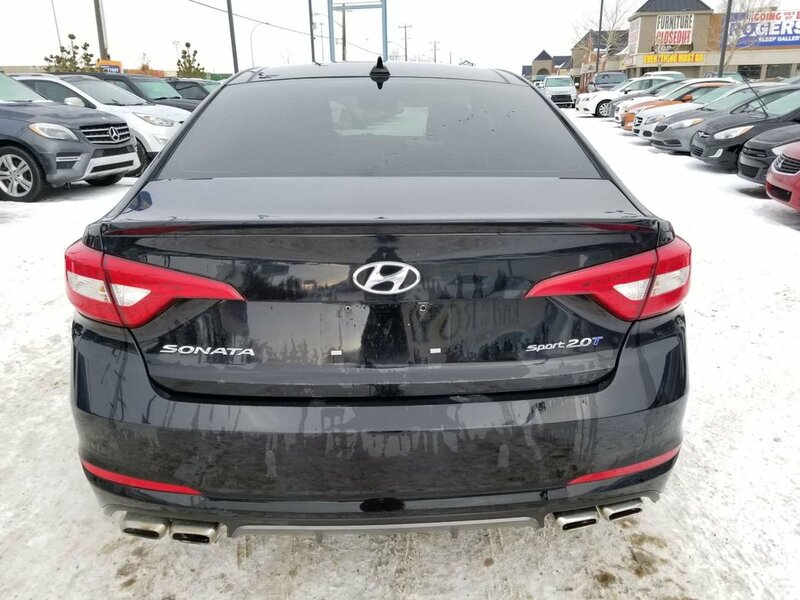 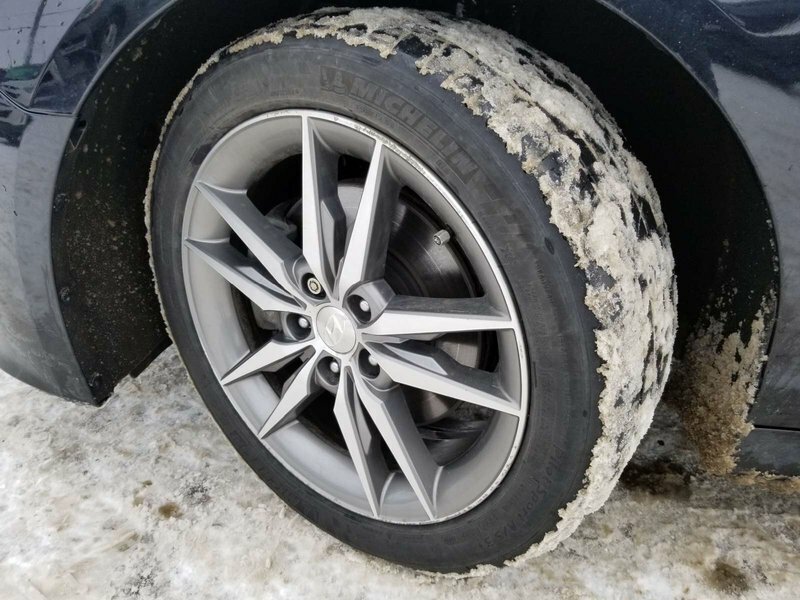 The striking exterior beautifully enhanced by 18 inch split-spoke alloy wheels, HID headlights, and chrome-tipped quad exhaust. 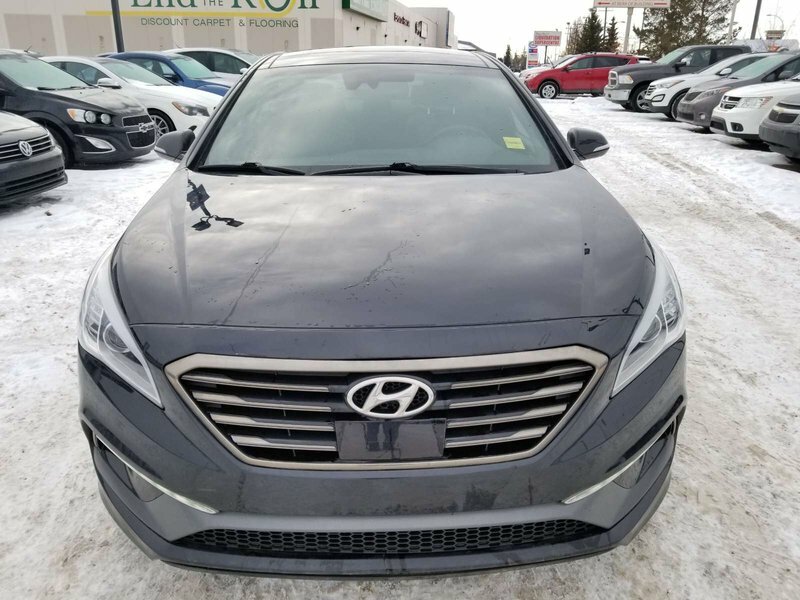 Our 2.0T is Boasting class leading space and upscale materials, our cabin welcomes you with proximity key entry with push button start, a sport instrument cluster, aluminum pedals, sport leather seats, dual automatic temperature control, heated and cooled front seats, heated rear seats, heated steering wheel, navigation, and HomeLink. 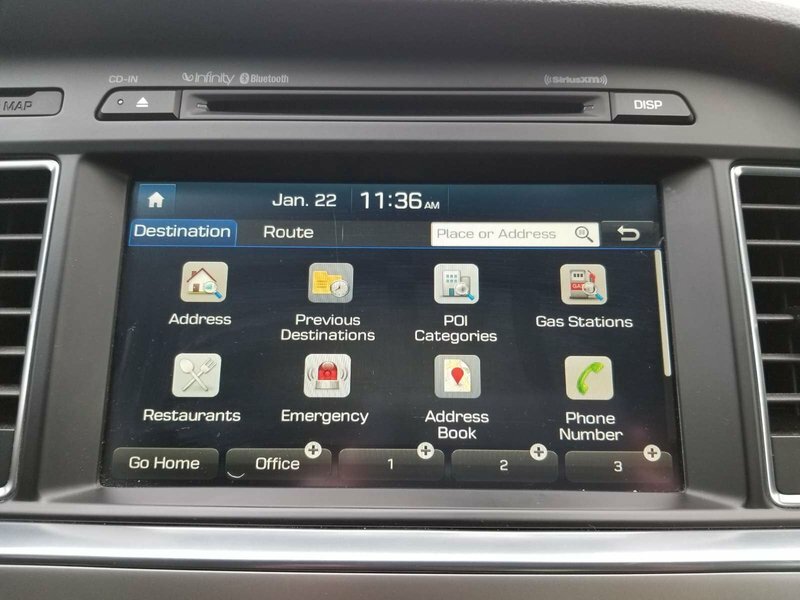 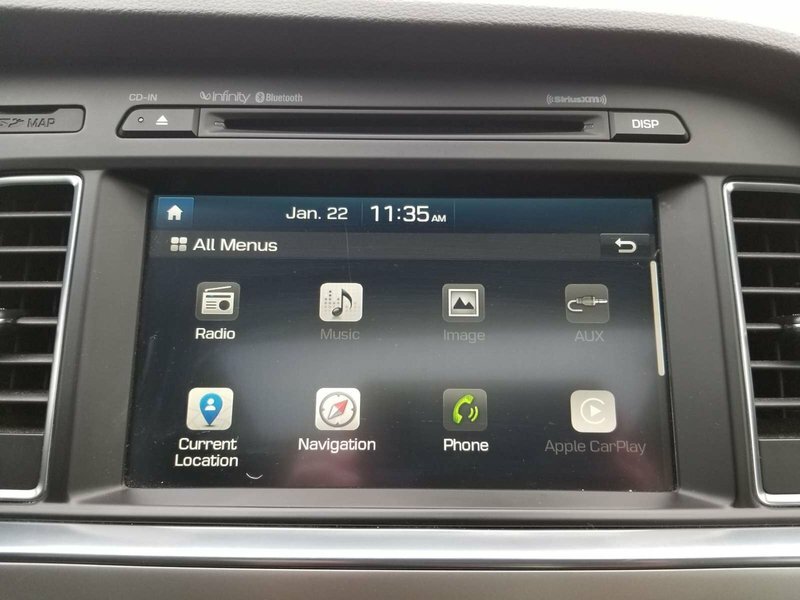 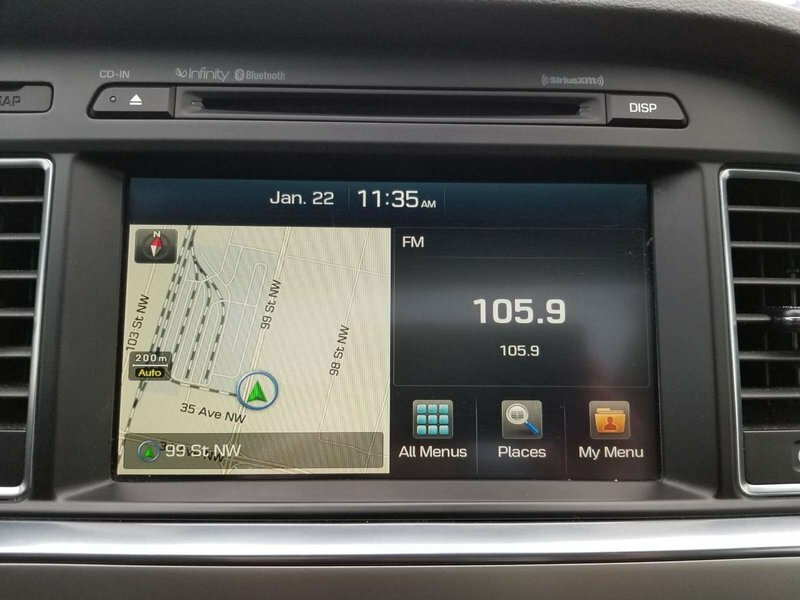 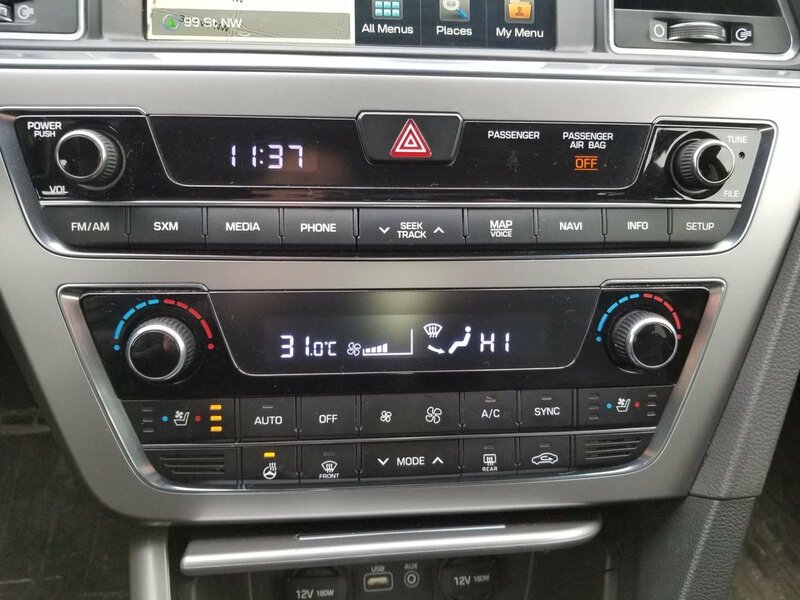 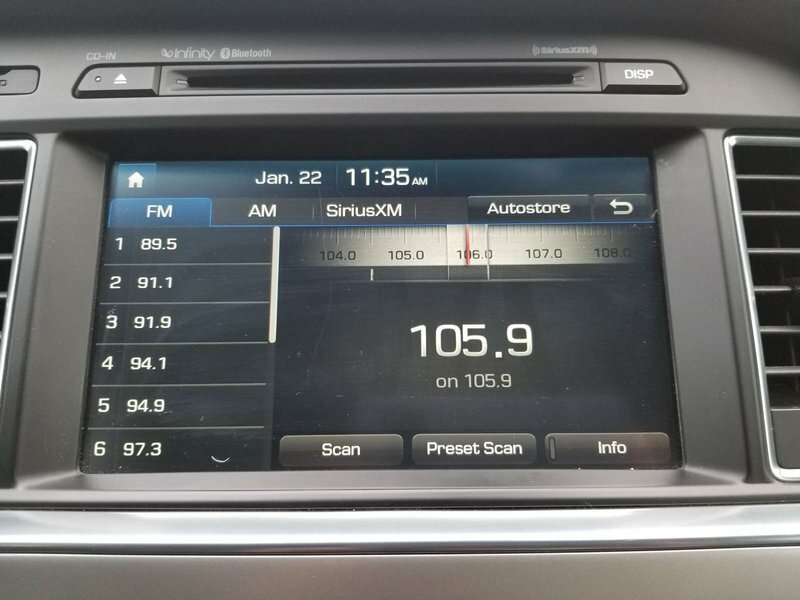 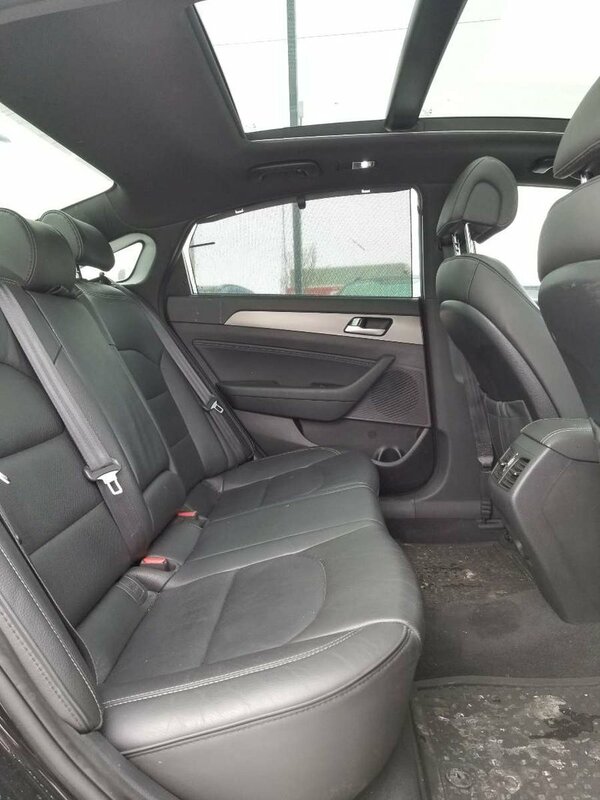 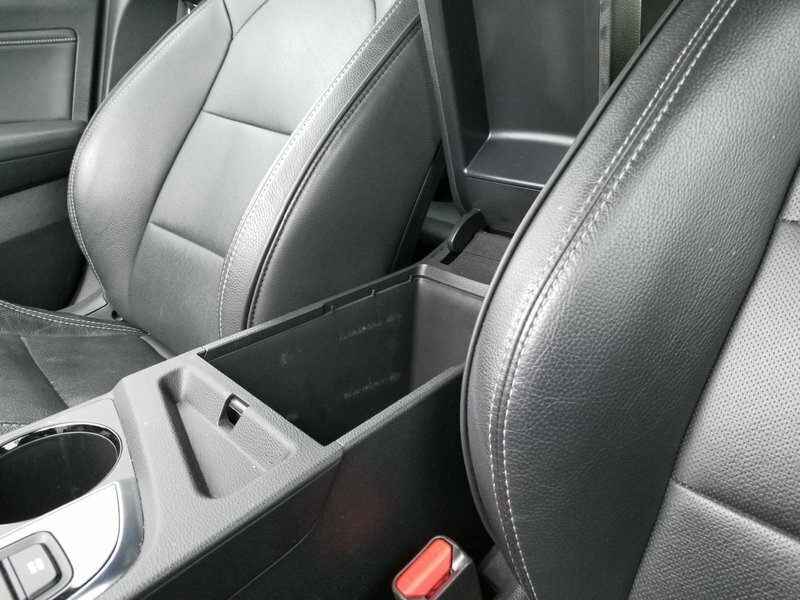 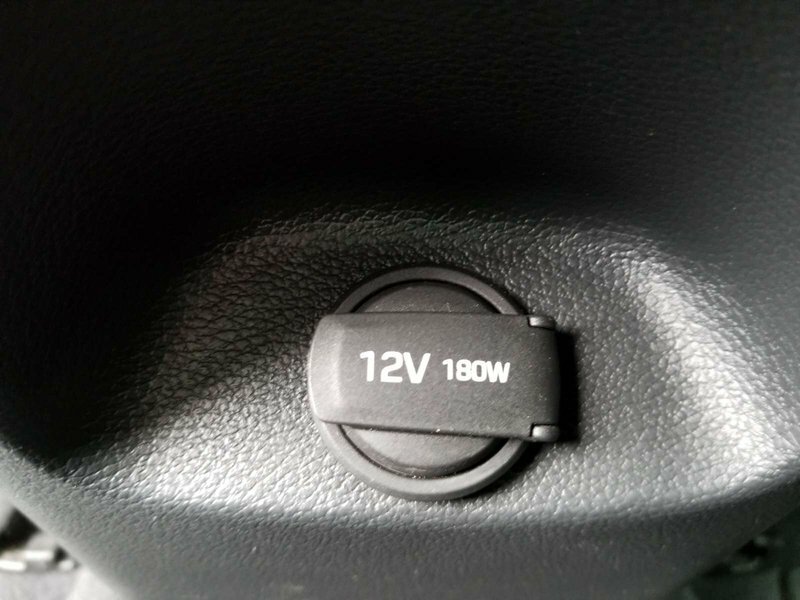 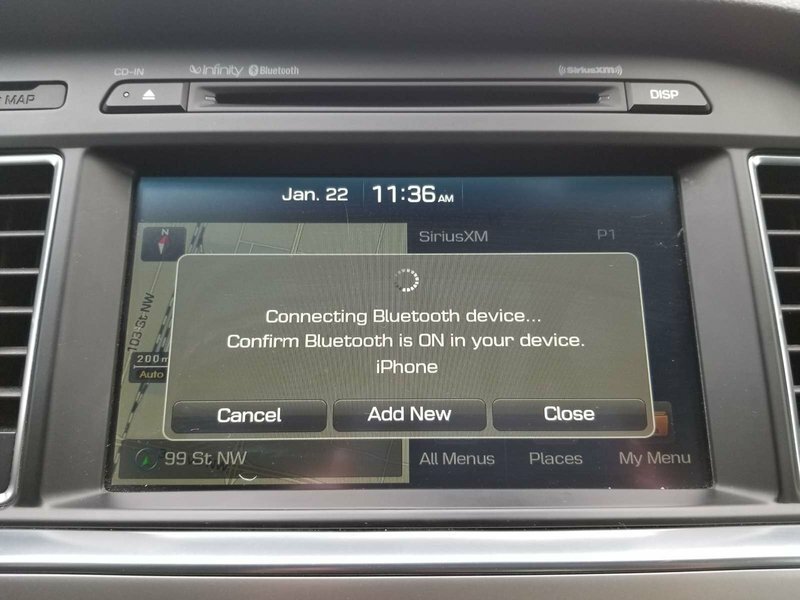 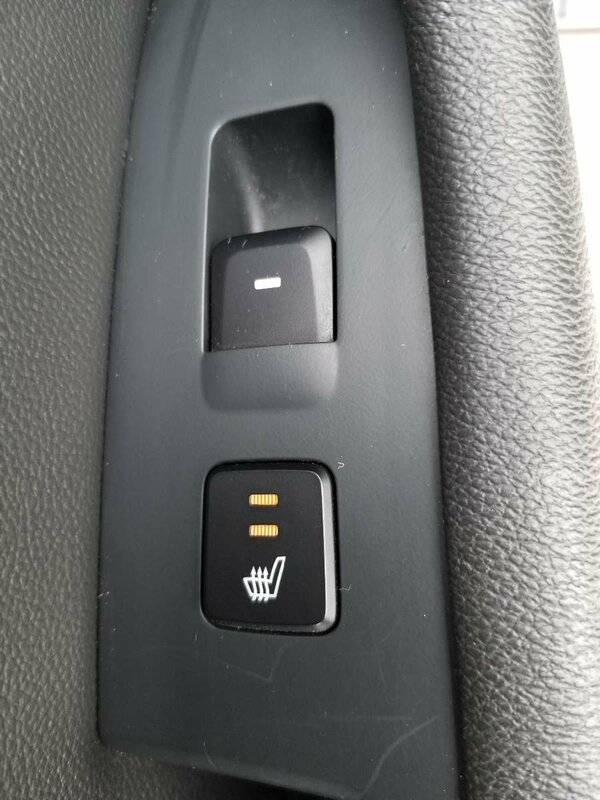 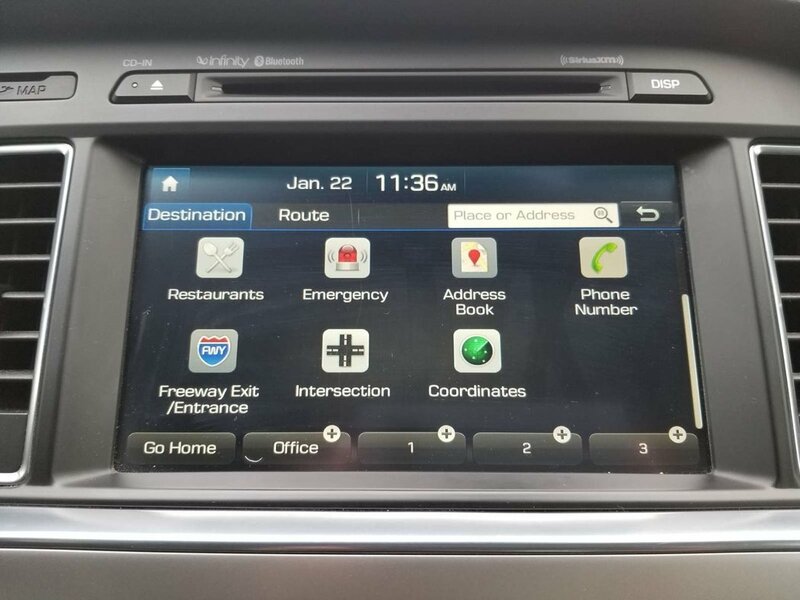 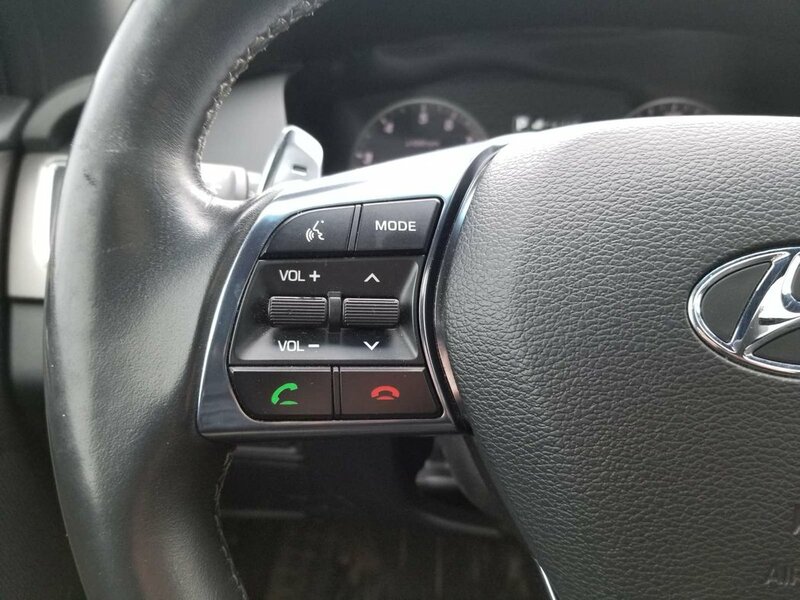 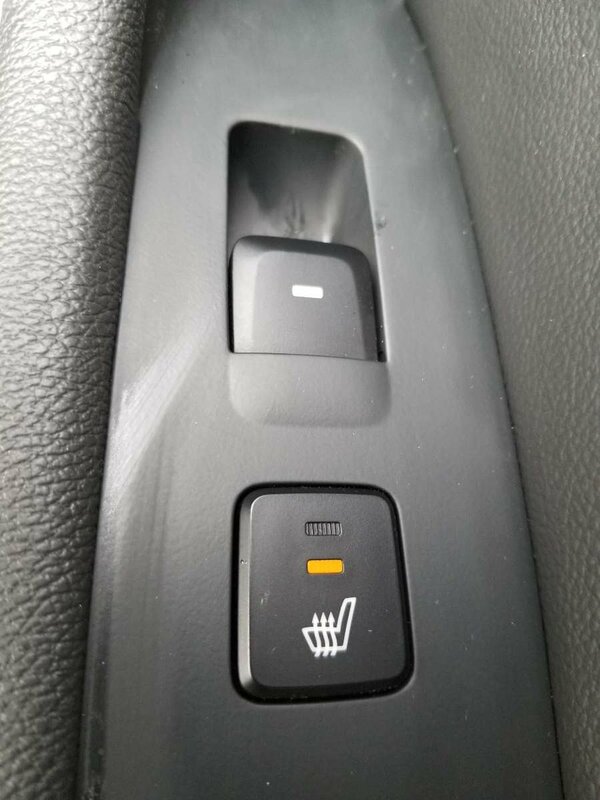 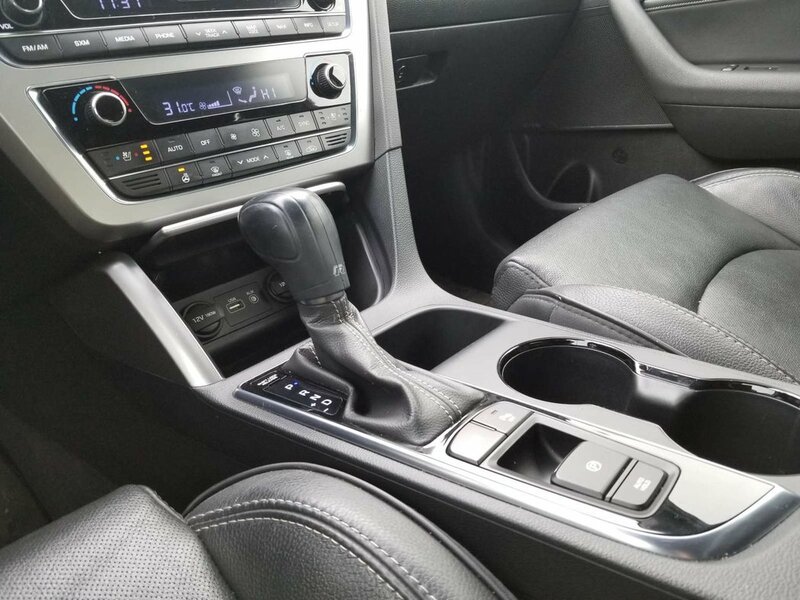 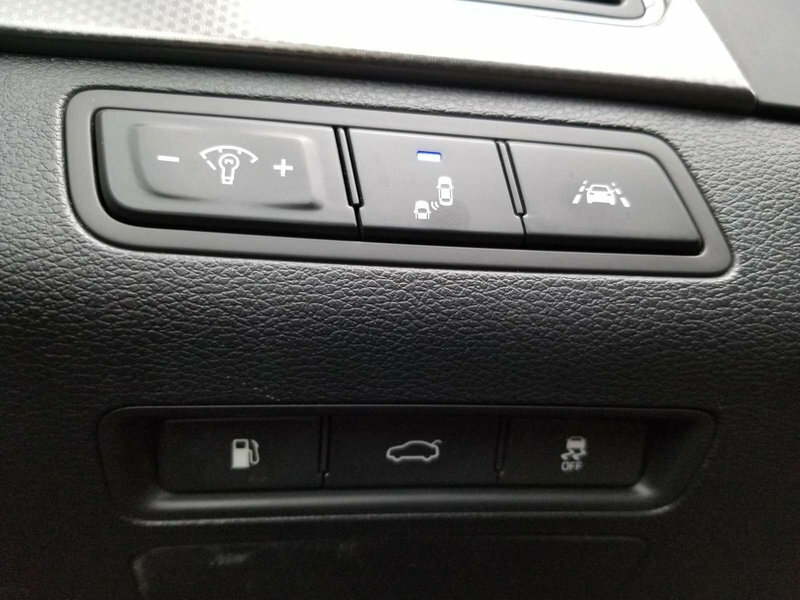 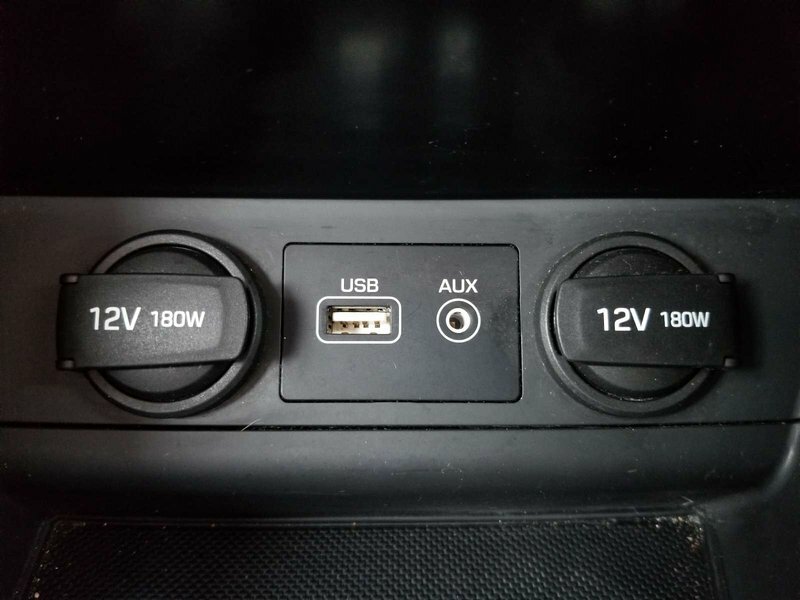 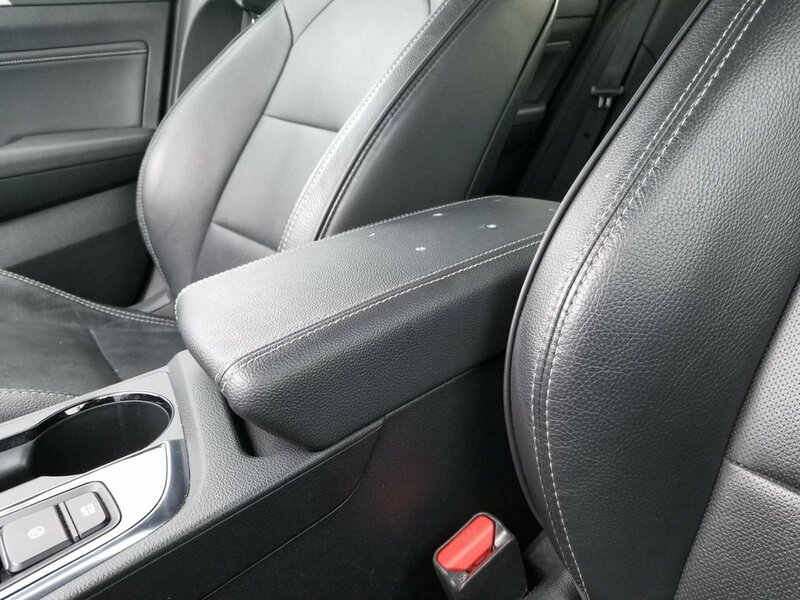 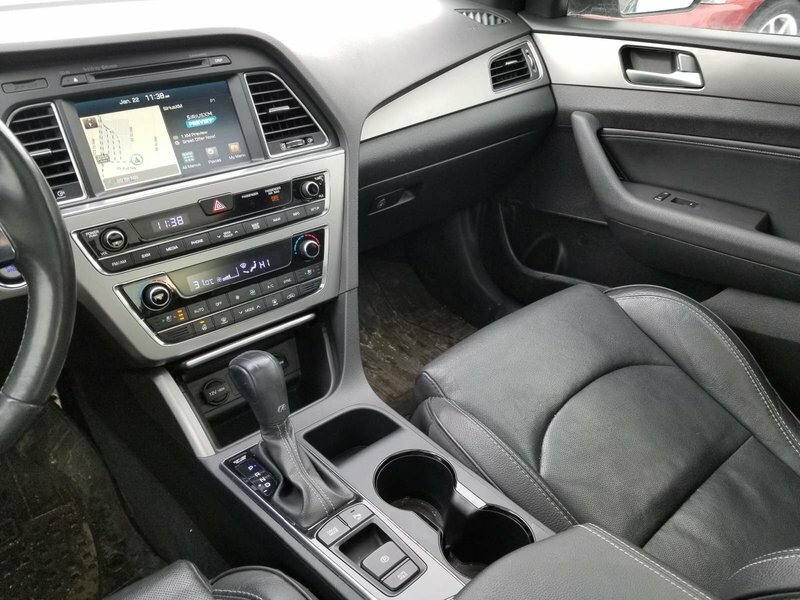 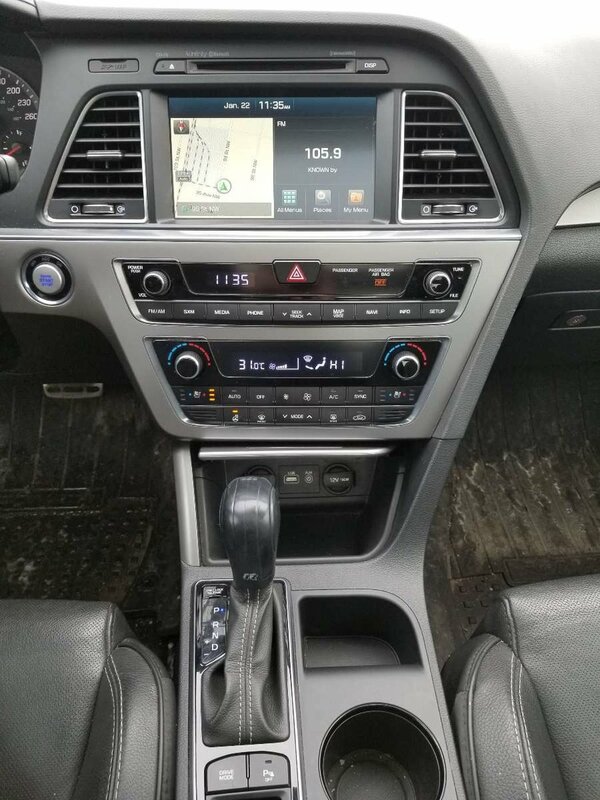 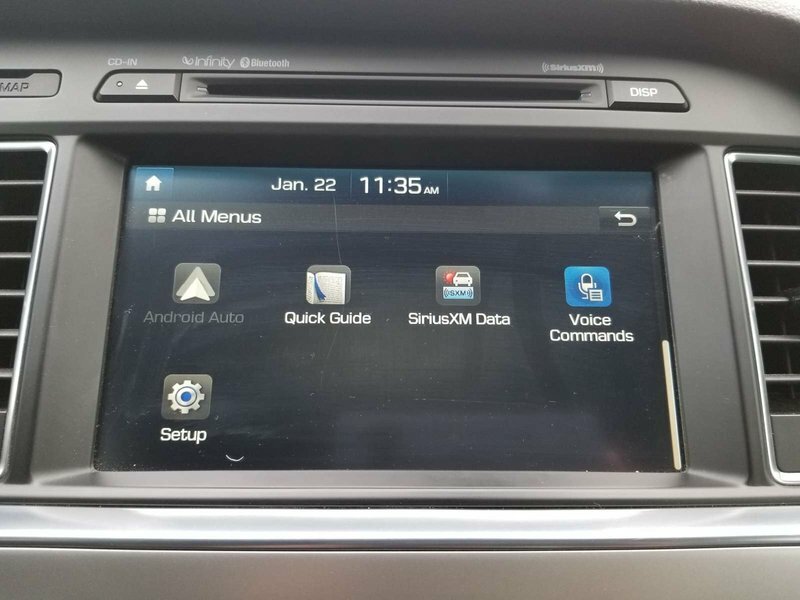 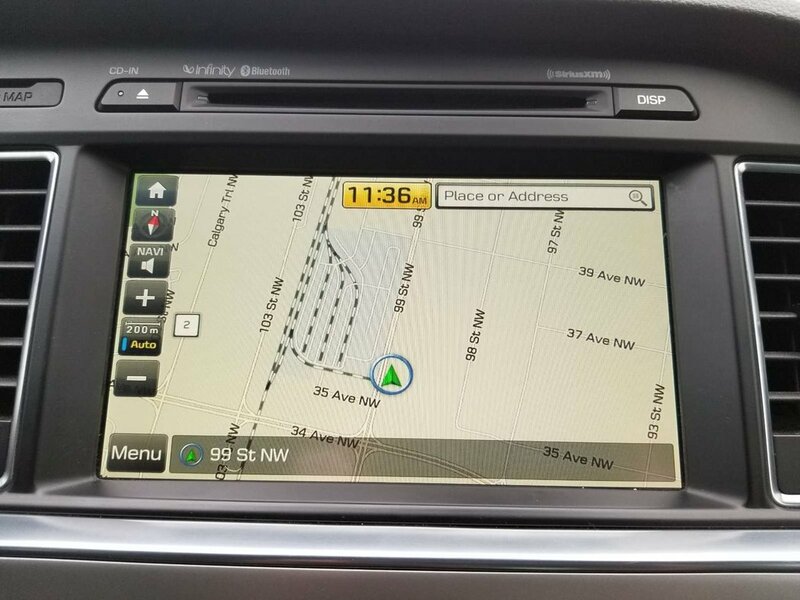 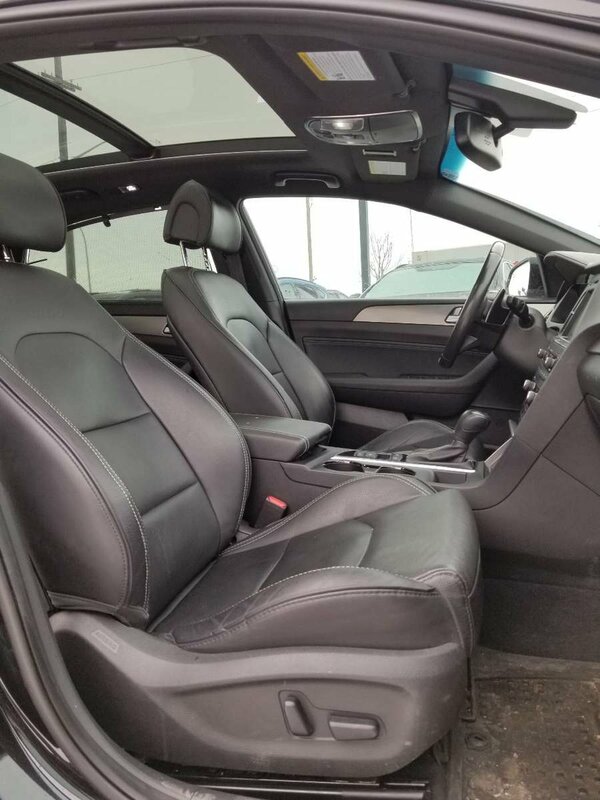 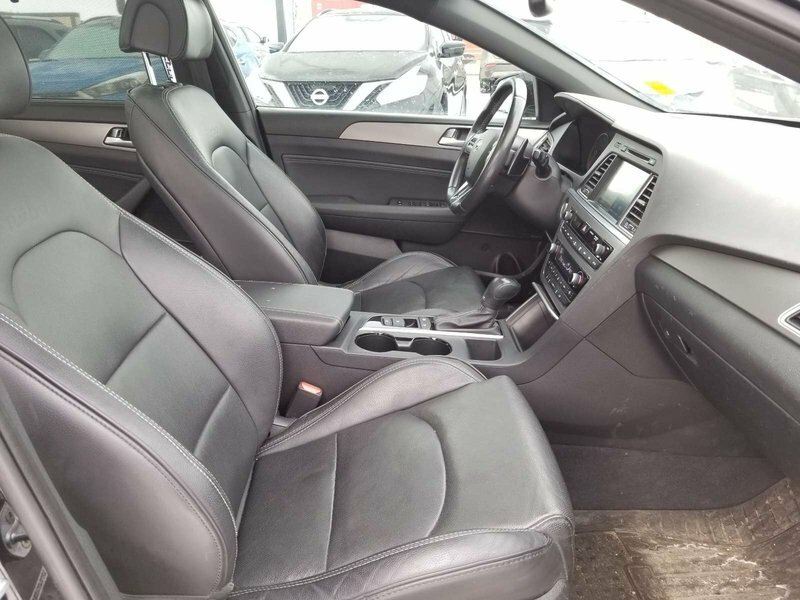 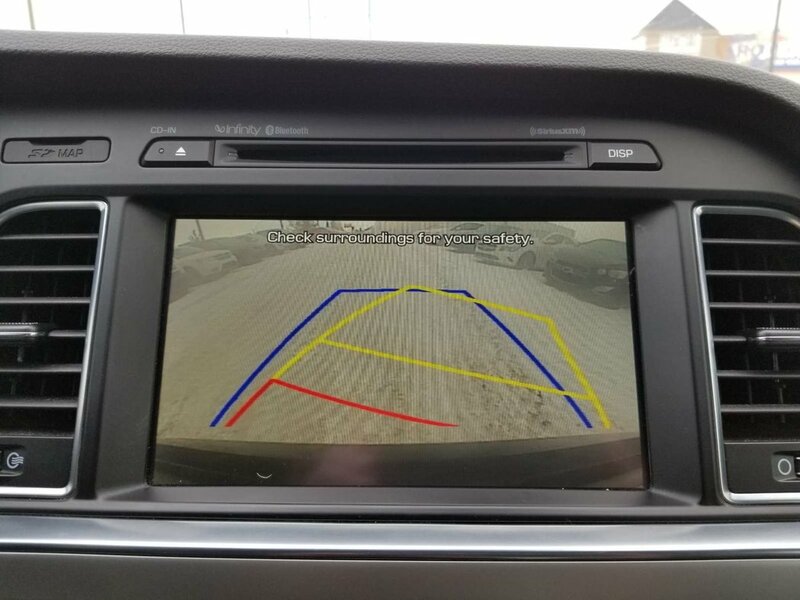 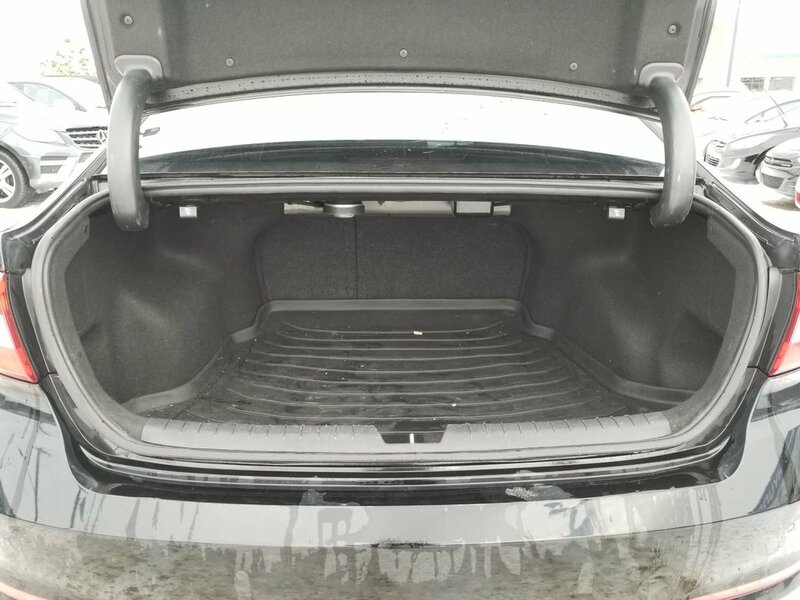 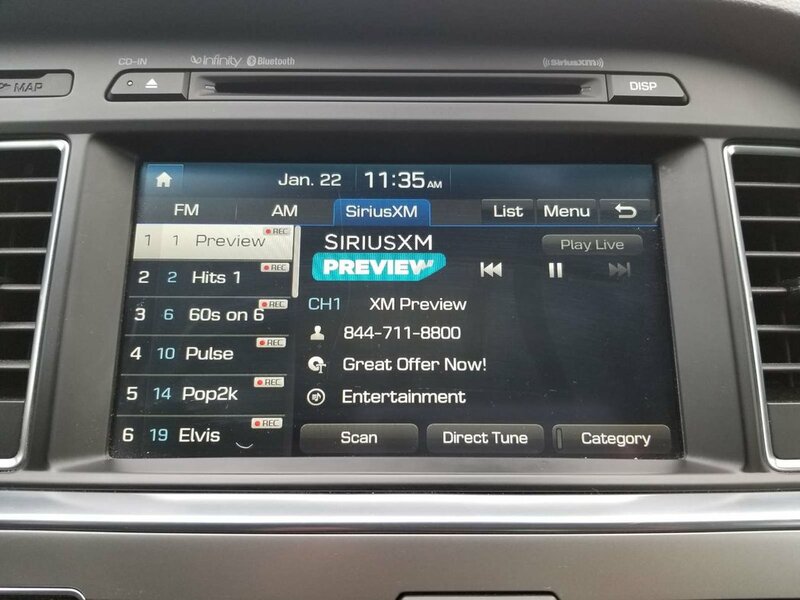 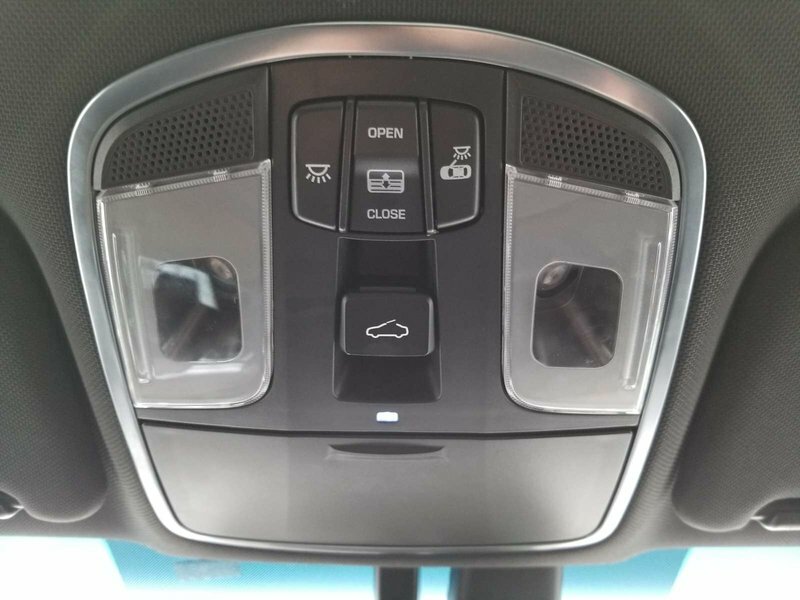 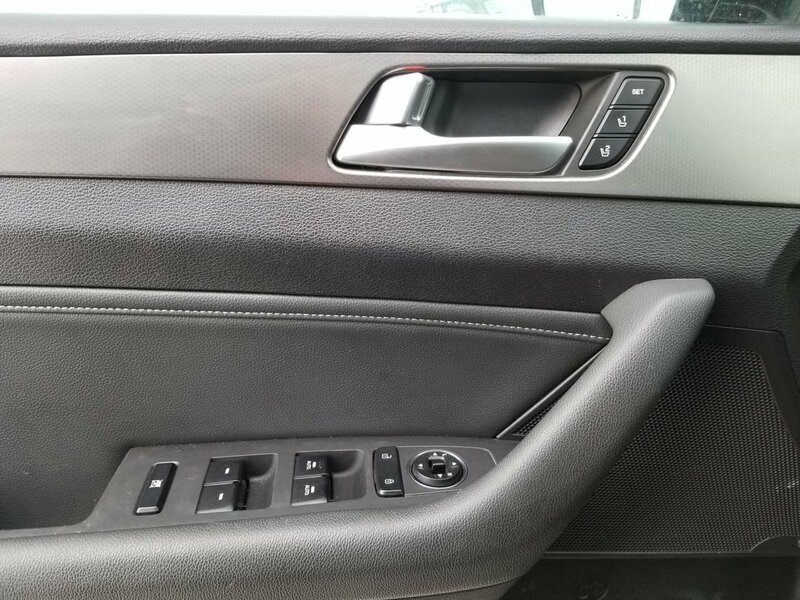 You'll appreciate Bluetooth, iPod/USB and auxiliary input jacks and an AM/FM/SiriusXM/CD audio system with a 5 inch color touchscreen to stay seamlessly connected and in-the-know as you make your way in this great-looking sedan.